← Kyle Lohse: NL Cy Young Candidate? Canada didn’t play in any easy qualifying round having to face teams like Germany and Great Britain. However, thanks to solid pitching and an offense that scored at least eleven runs in each of their three games, Canada was able to dominate the other teams. The Canadians were led by Phillies’ farmhand Tyson Gillies and former first-round draft pick and major leaguer Adam Loewen. In Game 1, Canada faced Chris Reed and Great Britain and they were able to use the mercy rule to their advantage, ending an 11-1 blowout after the seventh inning. Tyson Gillies displayed his above-average speed with a triple and Jimmy Van Ostrand homered. In the Canadian’s second game, they scored thirteen runs in the last three innings to come away with a 16-7 win. 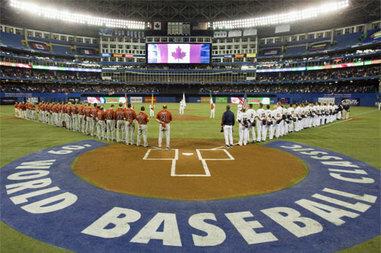 However, thanks to the WBC’s new double elimination rule, Canada wasn’t done battling Germany. They faced Germany on Monday to decide who would advance. Canada came away with a 11-1 win thanks to another Van Ostrand homer and six one-run innings from Andrew Albers. 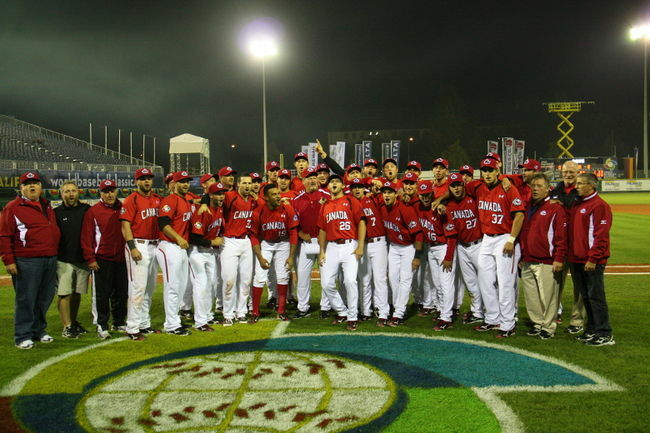 So while Canada was forced to qualify after a poor showing in the 2009 WBC, team Canada had enough firepower to play in their 3rd WBC tournament. With the likes of Jason Bay, Russell Martin, Justin Morneau, John Axford, Brett Lawrie and more possible reinforcements available in the spring, Canada may have a chance of advancing to the second round for the first time. In the other qualifying group that has played thus far, Spain came out on top. Even with most of the Israeli talent playing in the majors during qualifiers, the consensus around baseball was that Israel was a pretty good bet to advance. Nobody expected Spain to be able to compete with the Jewish powerhouse. However, thanks to outstanding offensive performances throughout the first few games by Paco Figueroa and Rangers’ prospect Engel Beltre, Spain was able to give their pitchers enough run support to keep winning. In the winner takes all game on Sunday, Spain pulled off a 9-7 win over Israel. Despite initially beating Spain in their first head-to-head game, Israel did not have the magic to pull off another victory. Spain recorded fifteen hits, fourteen of which were singles. Yunesky Sanchez, a twenty-eight year old shortstop in the Pirates’ organization, led the way with four hits. The Spain pitching staff, which featureed four pitchers under six feet tall, were supported by 3.1 scoreless innings from Eddie Morlan. Spain has a fairly talented team, but it’s questionable as to whether or not they will be able to keep up with Canada and other countries once WBC 2013 begins. An exciting achievement for Spain to qualify, but one that will likely be short-lived. Posted on September 28, 2012, in World Baseball Classic and tagged adam loewman, baseball, beisbol, chris reed, engel beltre, mlb, team canada, team spain, team spain wbc, wbc, world baseball classic, world baseball classic 2013. Bookmark the permalink. Leave a comment.